Photographers visit park for gallery fine art on first day after government re opening and are interviewed by local news station. The online gallery offers fine art decor for homes and offices. 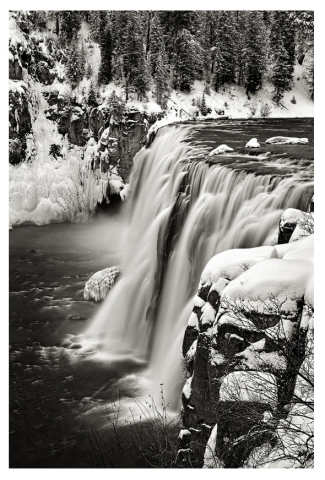 Jim and Lois Wyant of the Wyant photo gallery specializes in scenic, outdoor photography. Recently, they took a trip out west to visit the national parks and snap photographs for their online gallery. Their plan was almost derailed because of the government shutdown. With a stroke of luck, one of the parks they wanted to visit, Crater Lake, opened over the weekend they were in town. The Wyants checked the website and were pleased to discover the roads into and through the park would open on Monday. “We love to travel out west. The views, vistas and opportunities we have to shoot scenes is just breathtaking. Our customers appreciate it as well. It is truly a labor of love for us and the business,” said Lois Wyant. The Wyants had two additional strokes of fortune. They were among the first to make it to the rim of the crater and were interviewed by the local NBC affiliate. “I was not expecting to be interviewed. It was exciting and certainly caught me off guard,” continued Wyant. The reporter spoke to her husband, Jim, as well. “I did not have much to say, as I was surprised as much as Linda. It was really neat to be interviewed. We made sure to get our shots done after the television crew wrapped up,” said Wyant. A master photographer with several national awards, Jim and Linda have been to the parks before but only in the summertime. This was the first year they ventured during the winter and were able to get shots that rival the summertime shots in terms of beauty. “We were very fortunate and are looking forward to our next visit,” continued Linda. The Wyants have an extensive online gallery of their work that spans a number of different genres. Their website is www.wyantgallery.com. See their interview about the visit to Crater Lake National Park at https://kobi5.com/news/top-stories/crater-lake-national-park-re-opens-94704/.